Fees associated with the New Zealand PCT national phase entry as well as other patent fees are available in the fee calculator. The term for New Zealand national phase entry is 31 months from the date of priority. The restoration of this deadline may be possible in the case that late entry into national phase was unintentional and full explanation as to reasons for the late entry was provided. A verified English translation of the PCT specification must be filed within three months of the national phase entry date if the PCT specification was not published in English. The said term may be extended by up to 2 months. In New Zealand, formal examination is carried out only as part of the substantive examination process. The substantive examination must be requested within two months of receiving a direction from the Commissioner to file a request or at the latest within five years of the international filing date. 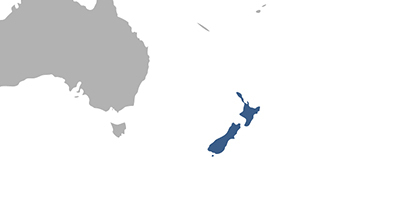 There is no official grant fee in New Zealand. The validity of a patent is 20 years from the international filing date provided that annual fees are duly paid. Annual fees are due each year starting from the 5th one and should be paid before the expiry of the 4th anniversary of the international filing date. Annual fees cannot be paid more than 3 months before the due date. Late payment is possible within a six-month grace period by paying a corresponding surcharge. The average processing time from PCT national entry to grant is 2-3 years. For foreign patent applicants, it is necessary to perform PCT national phase entry in New Zealand using an agent - a registered New Zealand and Australian patent attorney. Online database for New Zealand Patents.